This week, we have a wonderful recipe for you, with a not-so-common, but really delicious root vegetable called “celeriac.” You can find the recipe here. 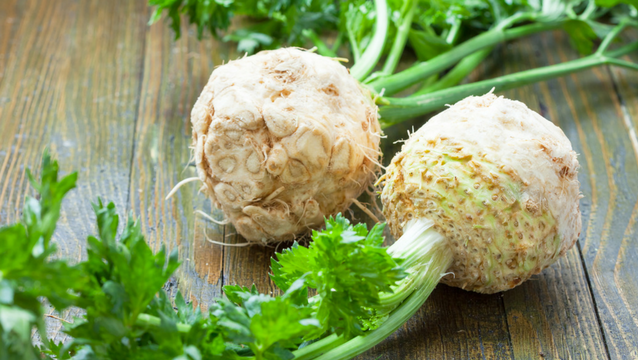 What is celeriac, you ask? Read on to find out!